One of the things David and I love about cruising is being out in remote locations, away from cities and towns. For the last four years, we’ve been able to go to some amazing places like the Lau group of Fiji and the Ha’apai group of Tonga. This also means we’re away from professional repairmen, chandleries, and Amazon Prime shipping. Therefore, we have to be fairly self-sufficient. 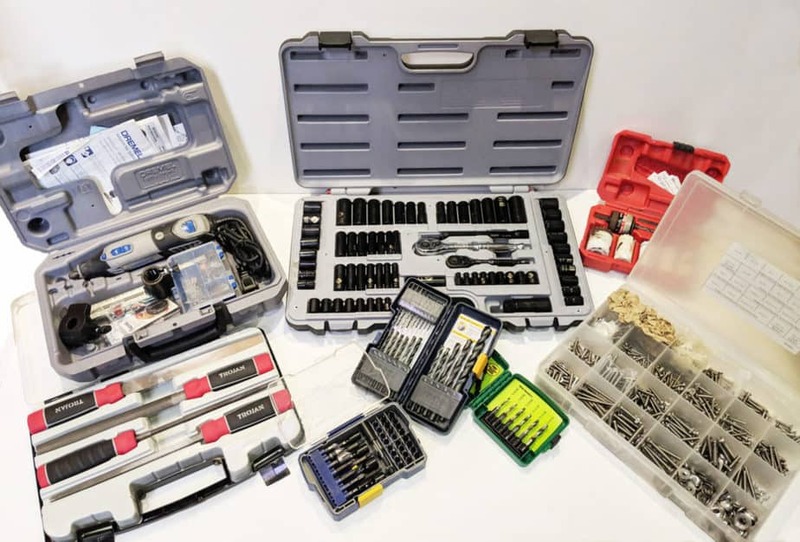 Part of this is having a well-stocked selection of tools for cruising onboard our boat to get the projects done, both improving our boat and making repairs to critical systems. Disclaimer: This post features a lot of links to Amazon. Out Chasing Stars is a participant in the Amazon Services LLC Associates Program, an affiliate advertising program designed to provide a means for sites to earn advertising fees by advertising and linking to amazon.com. We are also affiliates of West Marine, and this post contains links to West Marine products. We may earn a commission off of any purchase you make. While this is a list of what we think are the best tools for a cruising boat, it is by no means an exhaustive list of what you should have on your boat. 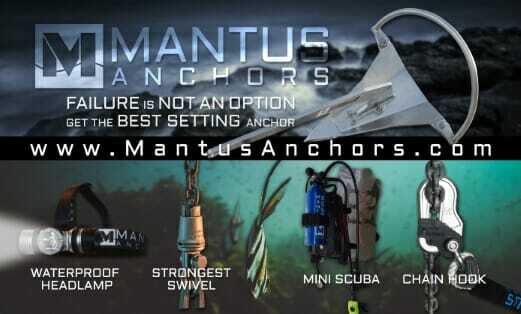 Every boat is different, and your boat will have different needs from ours. Also, some of our tools are relatively old as some of them belonged to my dad. 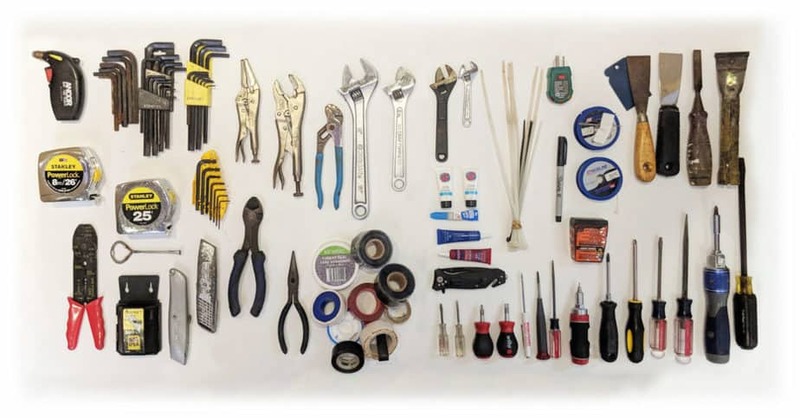 We’ve linked to the best looking, highest rated tools on Amazon for this list. Additionally, some items may have made their way into the bag for a special project recently, and who knows if we will use them again. Some we’ve never used, but we bought them because we borrowed a tool from someone else and thought t would be a good addition. 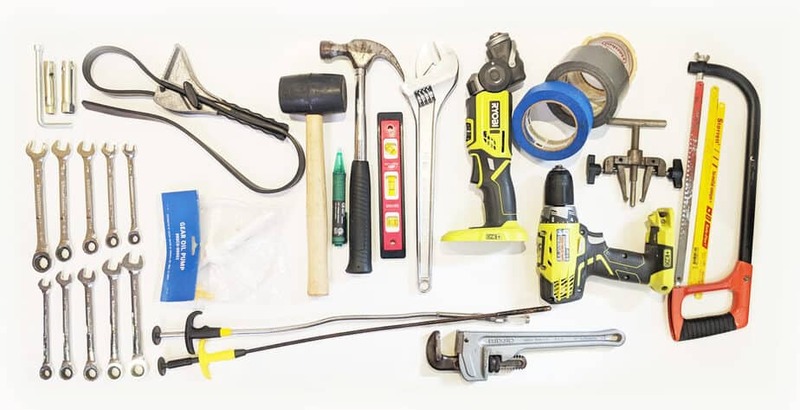 Most of our tools are narrowed down into two places, the tool bag and a storage underneath our couch in the main cabin. 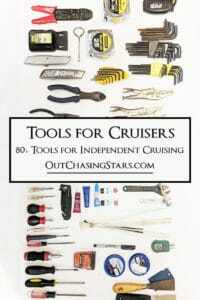 The tool bag is easily accessible and contains the most common tools we use around the boat. Items kept under the couch tend to be bigger project tools. The tool bag itself is a soft-sided bag with lots of pockets and solid handles. We’re very pleased with the size, as it’s easy enough to carry and hold the most critical items. 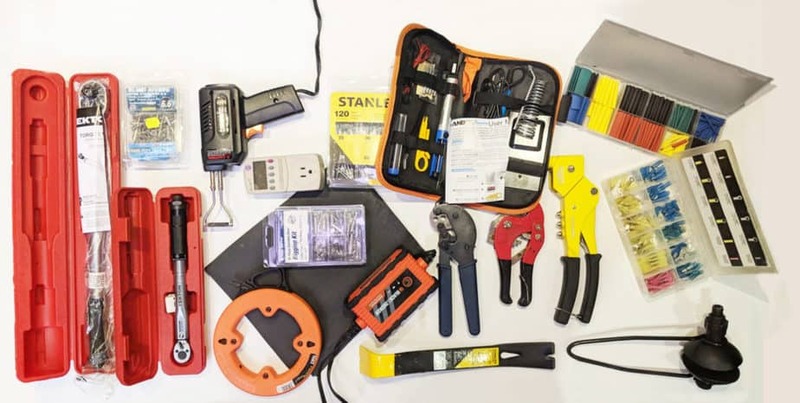 Kept right next to the tool bag are a clamp meter and one of our top favorite things on the boat, period: kneeling pads. What are the ones we use the most often? When we first left home we had a sander/polisher onboard. Firstly, we had trouble powering this tool. Even when we did our DIY bottom job, we’d rather have someone else do the sanding. It’s the nastiest part of a bottom job. Polishing is something, with our new boat, we’ve only done every haul out, so we’ve paid someone to polish our topside. There are a few more things we use here and there. 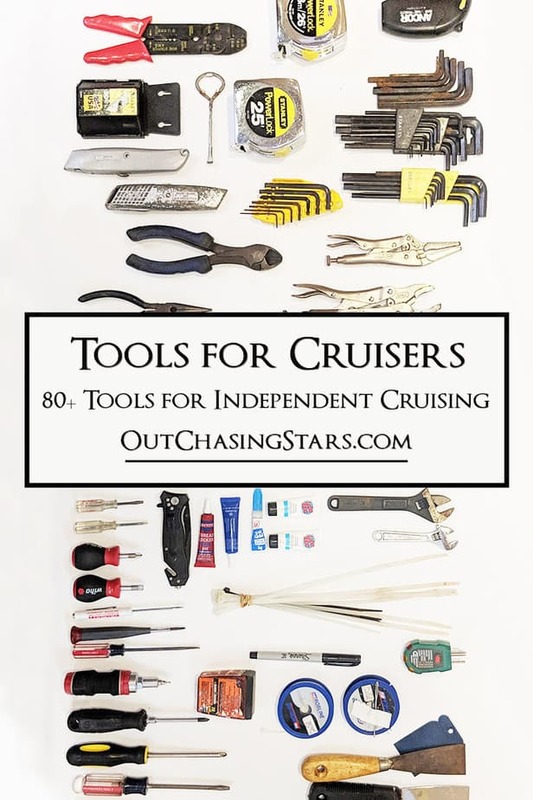 Absolutely all of the best tools for cruising boats are in this post and even more are in our Out Chasing Stars Amazon Storefront. Glad you found the post helpful! We do not have snaps on our cushions. The interior cushions have Velcro and the exterior have straps and… I’m not sure how to describe it!! Great list! I guess sika isn’t a tool, but pretty much usable everywhere. We also have a couple of vice clamps onboard.